You'll have enough to make several good sized terrariums. Why not make some for Christmas gifts? Keeps your Garden clean and stink free. 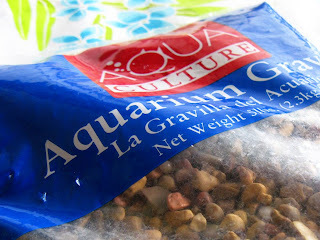 Can be found in any aquarium section of a pet store. One bottle will treat lots of terrariums. 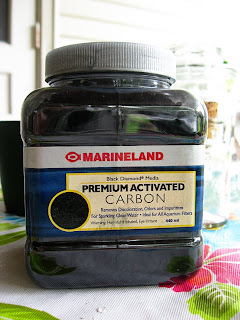 Keeps your carbon from going to the bottom of your jar. Covered is key here, less maintenance and makes your garden virtually kill proof. Take a nice walk with your family to a local park and watch the ground as you walk. You'll be surprised at the different varieties, textures, and colors you can find! 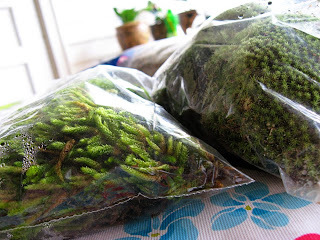 Bring a ziploc baggie with you to transport the moss home. Be careful of not taking too much moss form any one place, we don't want to mess up nature's beauty! 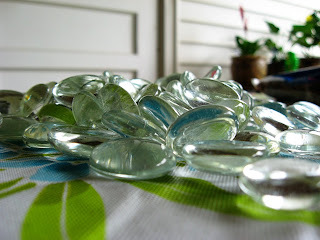 Pick these up on your walk too, or if you have some of these glass gems lying around, feel free to use those! For watering. I bought one of those little travel size spray bottles (like for hair spray) for about $0.50 and keep it next to my mossy garden. If you are giving your gardens away, it's nice to include a spray bottle as well. 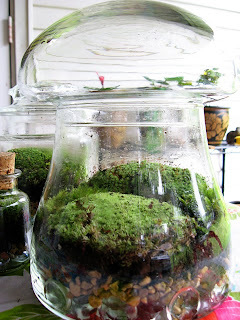 Now gently tear pieces of moss to your desired size and place on top of the soil. 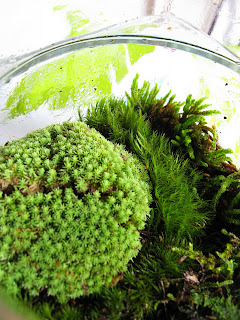 Add interest by mixing up the different kinds of moss. 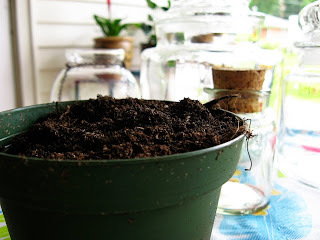 For the first watering I like to use a cup to gently pour water into the terrarium and make sure everything gets watered. A little water goes a long way. Cover your jar and you are done! Water with your sprayer once every 2 weeks or so. Just a couple of misting sprays is all it takes! This is my favorite jar ever! $1.75 at the thrift store and it is mushroom shaped! Perfect for a Mossy Garden! Look at all the different textures! 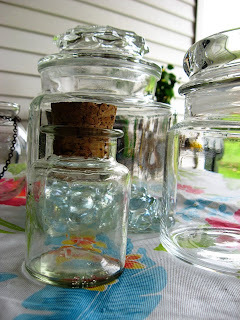 Love the mushroom jar and a great tutorial. Thanks! That is too cool...I am definitely going to do this next summer with the boys. I LOVE the mushroom shaped jar too, so clever!